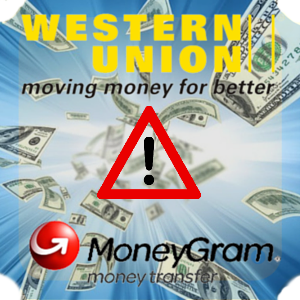 In the most cases, scammers prefer to use the following money transferring services: Western Union or MoneyGram. Why are they the most popular? the receiver of the sum is always anonymous, and it is the fastest service for delivering money around the world. in some rare cases and particular countries Western Union and MoneyGram require official prove of the recipient’s ID and other documents, but there are not many of them, and usually scammers know how to beat this system and can provide the services with fake IDs. When they get their money transfer, there is no way to check who did this or where this person lives as this can be done through a bank card. In that case all information is official, and scammer will have to provide only real data. 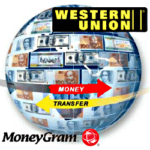 when a scammer wants to receive money transfer through Western Union or MoneyGram, any physical address can be given, as it is not attached to the place of living of the recipient. these services also don’t care about postal address of the receiver. A person who is going to get the sum simply goes to any office and gets the transfer with the ID and the tracking number. Nothing else is required. the transfer is delivered to the official office of the service, so a scammer will not leave any traceable information that can be lately checked. Basically, receiving money in Western Union and MoneyGram is totally anonymous and doesn’t bring any risks to the scammer. scammers love this method of money transfer as they don’t need to spend money themselves. They don’t have to create fake bank accounts and cards or pay any fee to get money. Hey just come and get it, and you even pay the delivery fee for them! if you don’t know a person in real life, don’t agree to send money through Western Union or MoneyGram. Internet services never work with Western Union and MoneyGram. If you see any site that asks you for paying through this service, better check it twice before agreeing on this payment method. 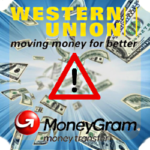 more often Western Union and MoneyGram are useful only for quick delivering of money to your members of family to live far away. Thus, don’t use it for those people whom you don’t know. even if have already sent money to someone but suddenly felt that you’ve made a mistake, there is still a chance to get it back, but only if money wasn’t collected yet. You need to urgently call the service center and cancel your order. The fee for it will still be taken, but at least you will save the whole sum. If your transfer was collected, you will not manage to return it. if the following actions require interfering with Western Union and MoneyGram, someone is trying to scam on you: get cash from your bank account via bank transfer, pay through PayPal, cash a check. a person who tries to pay you this way will try to steal your check or hack your online banking, but not before you pay. All the consequences of this situation will remain on you. don’t buy anything is stores that ask you to pay via Western Union or MoneyGram. keep in mind that scammers always choose only those ways of payments that can’t be traced. They don’t want their victims get money back and not to let officials know about their illegal activity by tracking different accounts. 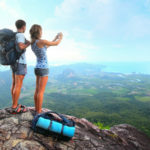 Previous Article← Russian Lady Can Make You Immortal! 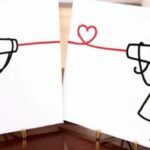 Very interesting article, thanks a lot for help.